In MoveIt!, the motion planners are loaded using a plugin infrastructure. This allows MoveIt! to load motion planners at runtime. In this example, we will run through the C++ code required to do this. 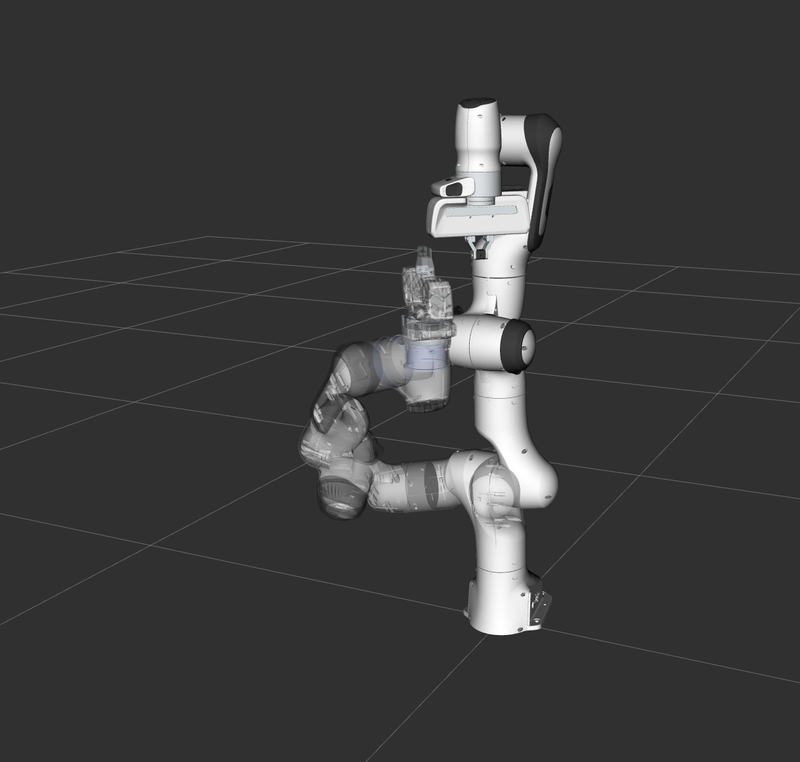 The robot moves its arm to a new pose goal while maintaining the end-effector level. Setting up to start using a planner is pretty easy. Planners are setup as plugins in MoveIt! and you can use the ROS pluginlib interface to load any planner that you want to use. Before we can load the planner, we need two objects, a RobotModel and a PlanningScene. 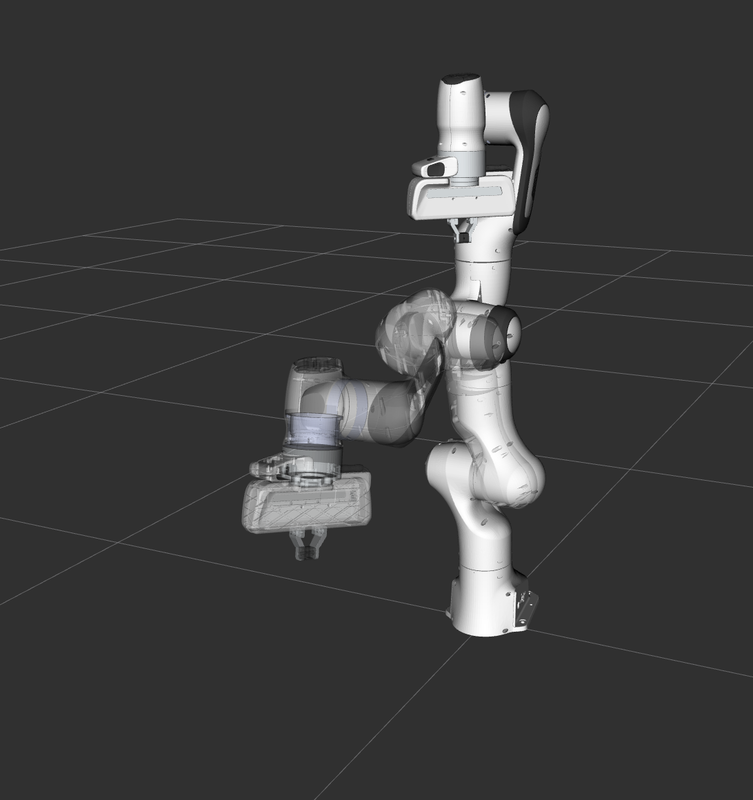 We will start by instantiating a RobotModelLoader object, which will look up the robot description on the ROS parameter server and construct a RobotModel for us to use. 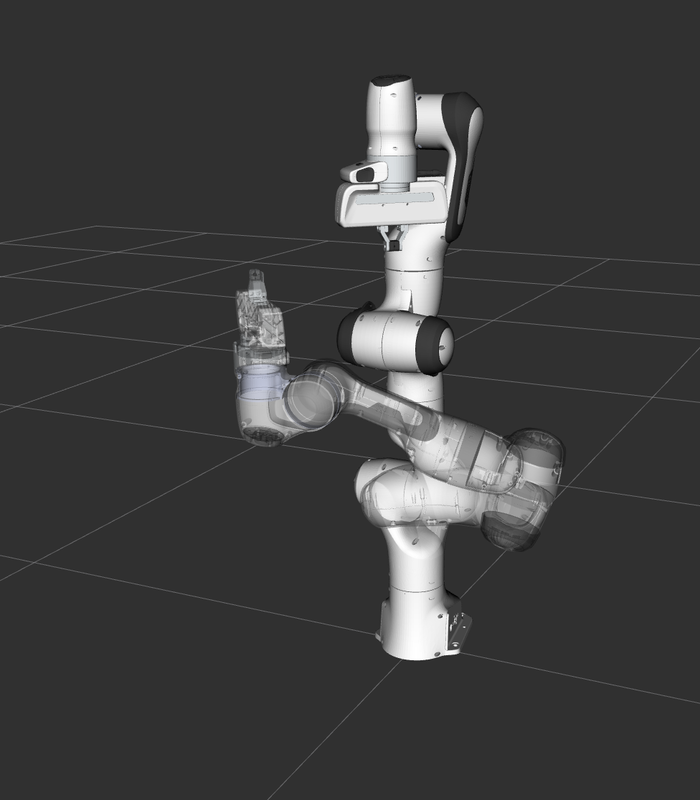 Using the RobotModel, we can construct a PlanningScene that maintains the state of the world (including the robot). We will now construct a loader to load a planner, by name. Note that we are using the ROS pluginlib library here. We will get the name of planning plugin we want to load from the ROS parameter server, and then load the planner making sure to catch all exceptions. We will now create a motion plan request for the arm of the Panda specifying the desired pose of the end-effector as input. We will create the request as a constraint using a helper function available from the kinematic_constraints package. Let’s add a new pose goal again. This time we will also add a path constraint to the motion. /* But, let's impose a path constraint on the motion. Imposing path constraints requires the planner to reason in the space of possible positions of the end-effector (the workspace of the robot) because of this, we need to specify a bound for the allowed planning volume as well; Note: a default bound is automatically filled by the WorkspaceBounds request adapter (part of the OMPL pipeline, but that is not being used in this example). We use a bound that definitely includes the reachable space for the arm. This is fine because sampling is not done in this volume when planning for the arm; the bounds are only used to determine if the sampled configurations are valid. Call the planner and visualize all the plans created so far.